Mercedes boss Toto Wolff believes the competitive advantage between his two drivers will swing from one to the other over the course of the season. Nico Rosberg currently leads the drivers' championship by four points, but mainly thanks to Lewis Hamilton's early retirement from the opening race of the season. 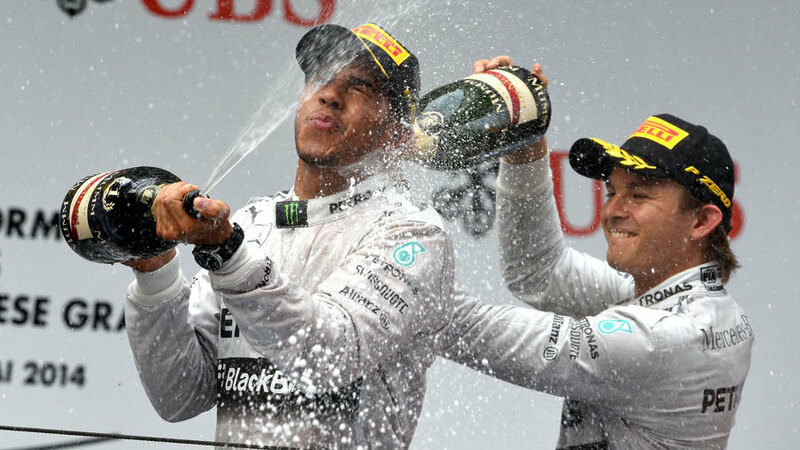 At the last three races, Hamilton has beaten Rosberg in straight fights, but Wolff believes there is the potential for things to change race to race. "The very exciting bit for myself and for us is that we see how different they are in their approach but how close the racing pans out on Sunday," Wolff said. "It's always very dangerous to hype one and talk the other down, and this is going to be a constant battle through the season. One is going to have the edge at one time and that is going to be changing quite quickly, which could be because of the approach. This is what makes it so exciting for us and keeps pushing the level up." Mercedes has dominated the opening races of the season, with winning margins in excess of 20 seconds over rival teams. At the Bahrain Grand Prix Hamilton and Rosberg were able to fight it out at the front without the fear of rivals closing in, but Mercedes boss Toto Wolff said he will only encourage such behaviour if his drivers have a comfortable gap over the rest. "Bahrain was a very particular situation, because our package worked very well there and we had quite a competitive advantage there. It was easier to take a decision for the sake of racing because we knew we would have a margin to the next guy. The more narrow that margin gets, the more you have to look out for competitors. "Our rule is that the team-mate is not enemy No.1, but the competition is enemy No.1. There might be situations in the race where you need to consider the fact you can't lose lots of time in a battle when you have your enemy right on your back."